Math Geeks Tutoring: Helping people Think like Geeks! Hi, I am Justin the Math Geek and I am changing lives! The students that I tutor have a greater understanding of the fundamental concepts of mathematics which have led to greater confidence and better grades, but more importantly, a greater understanding and confidence of how the 'REAL' world operates. I am looking for students who want to gain a greater understanding of mathematics and conquer their dreams of the world through critical thought. Do you know of anyone that would have me guide that journey of analytical thought with? 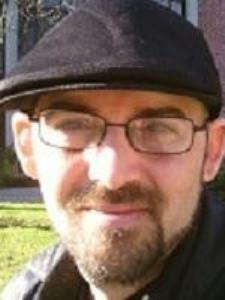 Statistics Tutor for Sacramento City College, Math Professors Assistant, 5 years of experience. I have been learning and teaching study skills to the diverse population of the Sacramento area for about 5 years. I am a Math tutor for several Elementary schools in the Sacramento area, Sacramento City College, and for also California State University, Sacramento. I also have experience in developing and creating lesson plans for individual students. I have been a calculus tutor for 3 years. A stats tutor for 5 years and have been tutoring Math for over 6 years. I have taken Calculus classes at California State University, Sacramento. I like to break down each problem so each student can grasp the concepts in their individual terms.